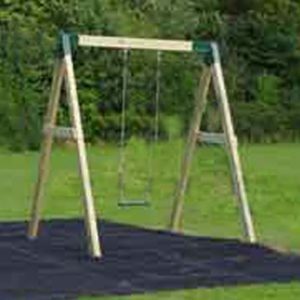 Welcome to our Playground Swing department. 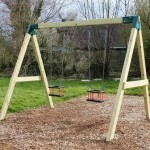 Playground Swings are a classic piece of playground equipment and our timber frames look great in any location. 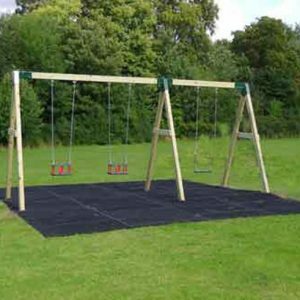 As well as Playground Swings, we supply a full range of commercial play equipment, safety surfacing and a comprehensive installation service. 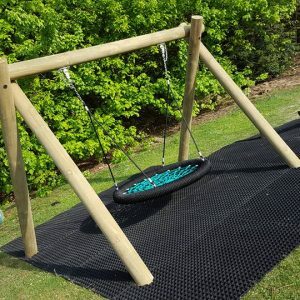 So, whether you have a specific project to discuss or simply have a few product questions, scroll down for more details or please feel free to contact us. 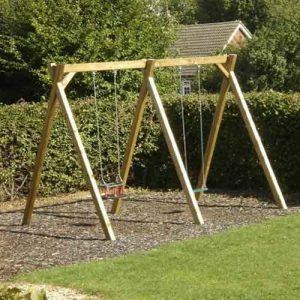 This Commercial Single Swing Frame offers domestic and commercial purchasers a strong, attractive swing frame at a very reasonable price. This is a frame only, no seats are included. 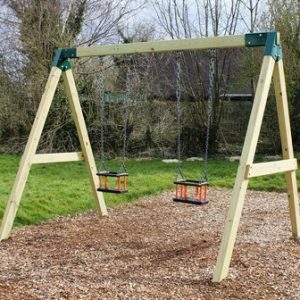 This Commercial Double Swing Frame offers domestic and commercial purchasers a strong, attractive swing frame at a very reasonable price. This is a frame only, no seats are included. 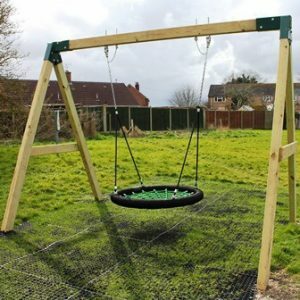 This Nest Playground Swing Frame offers domestic and commercial purchasers a strong, attractive swing frame at a very reasonable price. This is a frame only, no seats are included. 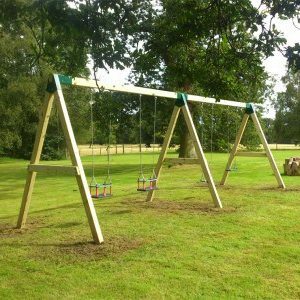 Our Triple Playground Swing Frame offers domestic and commercial purchasers a strong, attractive swing frame at a very reasonable price. This is a frame only, no seats are included. 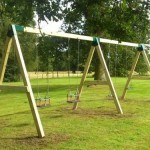 This Commercial 2 Bay Double Swing Frame offers domestic and commercial purchasers a strong, attractive swing frame at a very reasonable price. This is a frame only, no seats are included. This Quadruple Playground Swing Frame offers domestic and commercial purchasers a strong, attractive swing frame at a very reasonable price. This is a frame only, no seats are included.